The first thing you need to know about bunkers is that every player who is good from the sand has a lot of weight on the left side at address (below) and all the way through the swing. 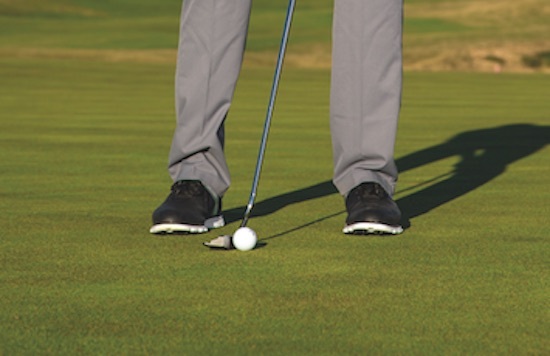 The second thing is that you must address the ball with the clubface open (i.e. turned out to the right for a right-handed player). Mine is way open as you can see. That allows me to hit the shot harder and eliminate any tendency to decelerate through impact. This is a fault I see in a lot of amateur golfers. 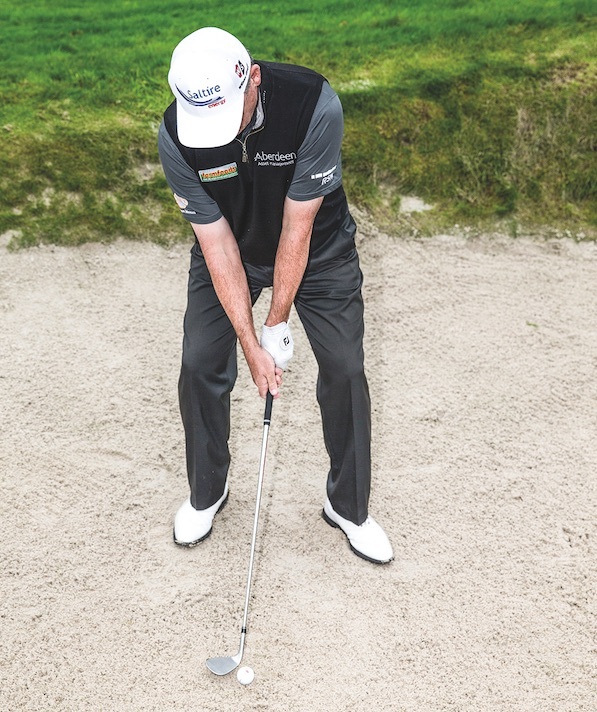 There is no weight shift when you are blasting out of a greenside bunker. Focus on that as you swing back, eliminating almost all lower body motion, and keep your legs as still as possible. Instead, let your wrists ‘set’ as you swing the club back. Then ‘fire’ the clubhead through the ball. 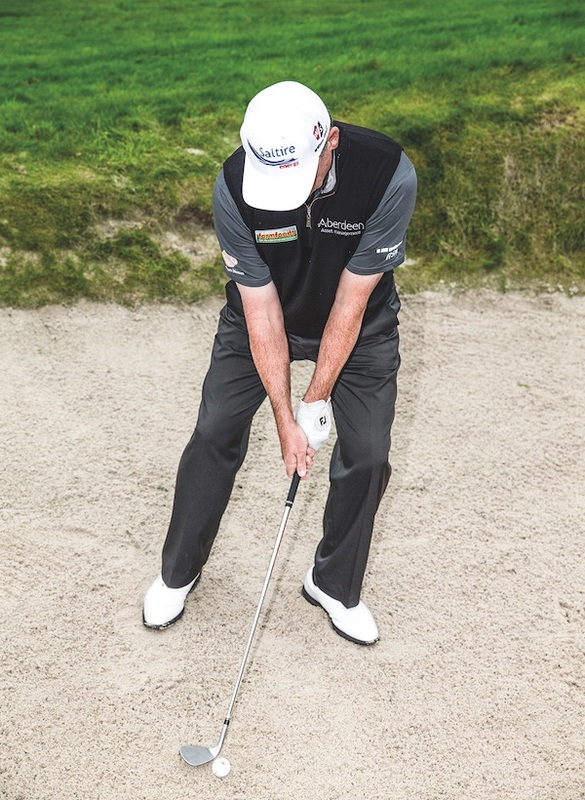 ‘Smack’ the sand an inch or an inch-and-a-half behind the ball. And, perhaps most importantly, stay on your left side all the way to the finish. If you set up with too much weight on your right side (above), your tendency will be to ‘flick’ at the ball in an effort to get it airborne. Believe me, that rarely works. 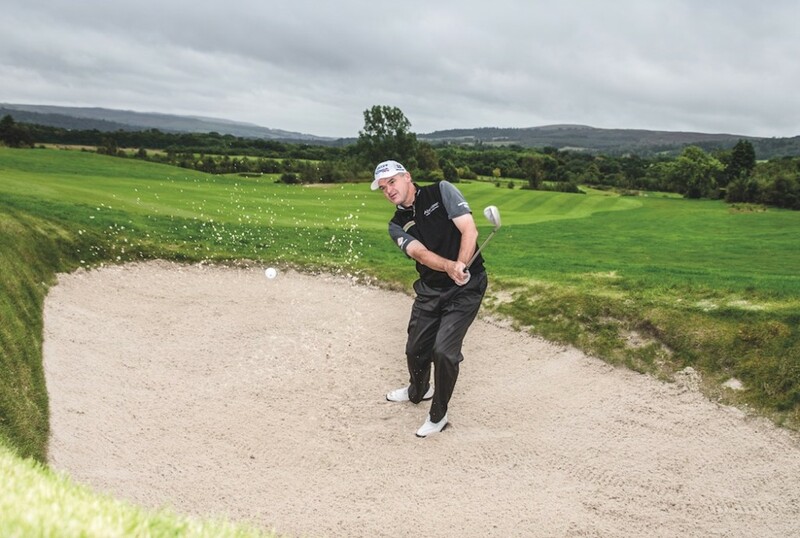 Paul Lawrie is attached to The Carnegie Club at Skibo Castle, where he practises and plays. He also owns two top practice facilities – Paul Lawrie Golf Centre Aberdeen (01224 865750) & Paul Lawrie Golf Centre Inchmarlo (01330 827080) – in the north-east of Scotland. Get to know more about Paul Lawrie’s clothing brand Cardinal. Visit cardinalgolf.co.uk or follow @cardinalgolf15 on Twitter. Originally published on bunkered on March 22, 2017.